I have added many friends on social media sites who share my interest in herbal and homeopathic remedies for common maladies. In the future, I plan to develop a catalog of fruits, vegetables, plants, and naturally-occurring items that are purported to be beneficial to overall health. 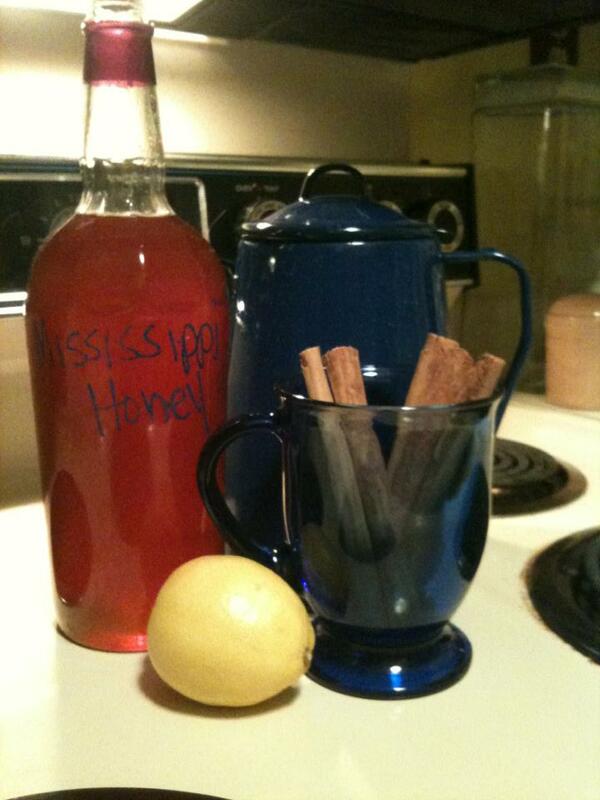 In my exploration, I have seen many reports of the benefits of honey, lemons, and cinnamon. So, in early spring, when I developed a head and chest cold, after a very hectic work week, I knew I needed a boost. I decided to try combining all three (lemon, honey, and cinnamon) into a soothing tea. I followed my intuition and knowledge of my own body to design a recovery approach I knew would work for me (since, I tend to get sick more often if I haven’t had proper rest, and I have overworked my body, and I have had little time to eat properly). I will outline my experience here, and what I did to work at healing myself naturally. I started to get sick on Tuesday of that week. On Wednesday and Thursday of the week, I took some daytime cold medicines to help get through the day, which did help with symptoms. But by Friday, symptoms had actually gotten worse. On Friday afternoon, I tried making myself a soothing tea that helped me rest, soothed my throat and chest, and I feel, helped me to recover. First, I took 1 whole cinnamon stick and boiled it in a pot for about 10 minutes with about 1 1/2 cups of water. While the cinnamon was boiling, I found a 16 oz. mug and poured about 2 tablespoons of locally produced honey into the bottom of the cup. I used a lemon squeezer to get the juice of one large lemon, including the pulp and seeds. Next, I poured the lemon juice in with the honey and stirred them together, letting the juice act as a thinning agent to the honey. Then, I removed the cinnamon stick from the pot and removed the pot from the stove burner. Finally, I poured the cinnamon tea into the mug and slowly stirred the mixture. I sipped the mixture before bed, and went to bed by 7 p.m. that Friday night. I made myself rest all day Saturday. I only got up to take care of personal needs, but did not do school work, housework, cooking, or any chores. I ate normally and sipped on water. Saturday evening, I prepared another tea and drank it, and stayed in bed all of Saturday night. By Sunday morning, I felt 100% recovered. None of my cold symptoms remained! Some interesting notes: The cinnamon seemed to make my chest feel “opened up”. I noticed that the lemon juice acted as a diuretic. The honey made the drink better to the taste. I cannot say for sure which element helped me to recover. Maybe just resting was the key. Or perhaps it was the mixture of all of the above. However, the next time I start feeling “under the weather” again, I won’t hesitate to try the same approach! Copyright © 2019 Granny's Front Porch. All Rights Reserved. The Magazine Premium Theme by bavotasan.com.